Exclusive pieces from the showroom of one of America’s most prominent designers of handcrafted, bench-made, living room furniture are hitting the floor of The Dallas Dump, this Friday— at 30% off market price! Yep, it’s a big deal. In fact, this deal is so rare and so good, that we can’t actually name this designer here. Our prices are so competitive, they’ll definitely make the other retailers that carry this brand look bad. So, we’ve agreed to play nice, and keep this particular deal on the down-low. But, don’t worry, we’re not going to let you miss out. 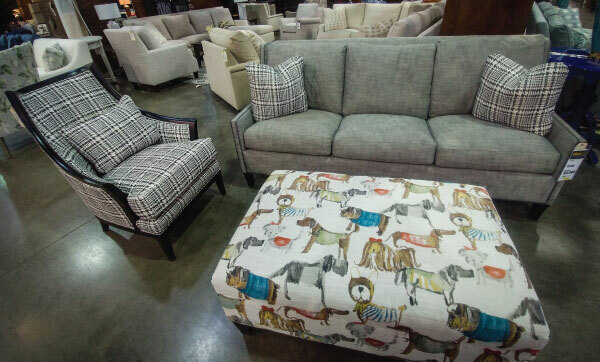 From vibrantly-patterned contemporary sofas to chic, plush room-sized sectionals, this designer showcases true craftsmanship with expertly-upholstered, stylish living room pieces straight from their North Carolina shop. Featuring stunning silhouettes, eco-friendly, regenerated-steel inner-springs, and creative combinations of high-quality fabrics spanning a range of colorful patterns and textures, these one-of-a-kind pieces are completely hand-cut, sewn, and framed— highlighting a level of skill and particular expertise honed across generations of furniture-making. 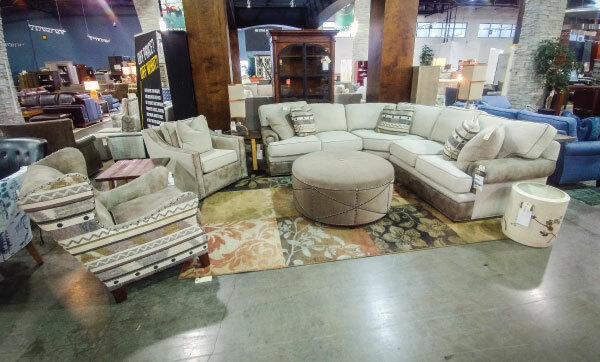 So, get to The Dump this weekend, experience this top-quality, high-fashion living room selection, and shop this exclusive designer showroom deal before these pieces are gone!